Mumbai 10th July 2017: The team at S. L Raheja Hospital - A Fortis Associate Hospital in association with the Rotary Club of Mumbai Seacoast organized a poster competition for the city’s school children at the hospital. The program was organized for students to present their thoughts by painting in colours the on-going social scenario of our country. The youth of today play a major role in driving positive messages across various social verticals, be it online or offline; that can benefit the community at large. With the country moving towards the digital age, a platform was provided to over 200 students from 25 city schools to display their insight on social trends and progression. Students from the 8th, 9th & 10th standard participated in the competition where each standard was given a theme. 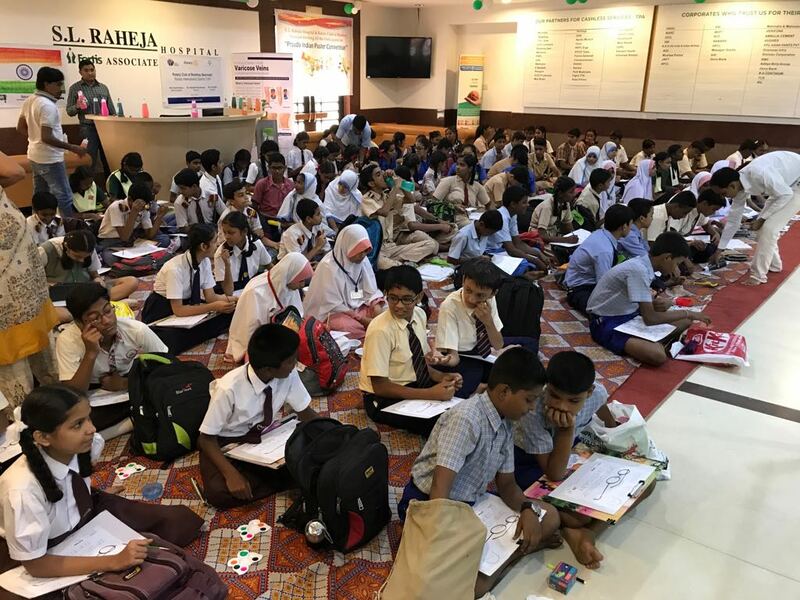 8th graders were given the ‘Swachh Bharat Abhiyan’ theme, whereas 9th and 10th graders were given ‘Digital India’ and ‘Make in India’ themes, respectively. The session was concluded with the Prosocial Programme, which is organized by the hospital annually, where students enthusiastically interacted with their peers from other schools and exchanged ideas. Speaking about the initiative Dr Tara Mehta, Clinical Psychologist, S. L Raheja Hospital - A Fortis Associate Hospital, said, “Along with proper education it is also important for kids to actively participate in Pro Social activities which creates a sense of freedom of thought and builds positivity across age groups. We believe along with taking care of our patients, we are also indebted to the larger part of society, encouraging us to take up social welfare initiatives that enable the community, especially kids to participate and spread a positive message amongst the community”.